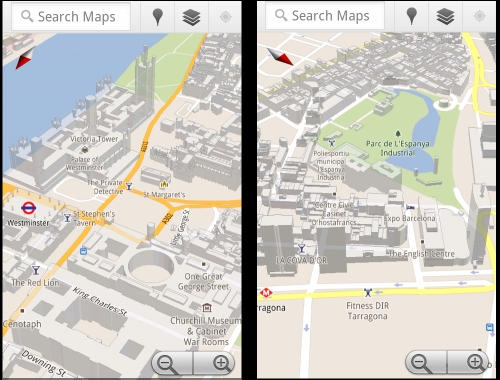 Google Maps for Android adds more cities with 3D support | Android Blast! Google announced it has added support for 3D buildings in another 13 cities on Google Maps. Originally Google Maps included 3D views in New York City, Zurich, Milan. Now Google has added support for London, Paris, Barcelona, Stockholm, Singapore, Lisbon, Boulder, and 11 cities in South Africa. To activate 3D buildings simply zoom in to the city of your choice and the app will show you 3Dversions of the city.